Need a new mattress but have no idea which to get? Check out our Sweet Zzz Affluent Mattress review to see if it may be perfect for you. Smart Savvy Living received a complimentary mattress to facilitate this review. There are so many types and brands of mattresses out there these days. It can be rather confusing and feel a bit like gambling when you choose which mattress to buy. You may be used to going to the local mattress store and trying to pick the perfect mattress by only spending a few minutes trying it out. To me, that doesn’t make much sense for something you’ll be sleeping on for years to come. That’s why I’ve totally come around to buying a new mattress online and am reviewing the Sweet Zzz Affluent Rest Gel Memory Foam Mattress. With a firm base, medium core, and soft top Sweet Zzz built the Affluent Mattress with the majority of sleepers in mind for a medium feel that isn’t too soft nor too firm. It features a unique Open-Cell structure to help dissipate moisture and heat 3 times faster than regular memory foam. The foam is also made with sertiPUR-US Certified materials. The mattress works with any solid flat surface. It’s also great for couples as the high-quality memory foam absorbs motion transfer. Sweet Zzz also gives back to the community by donating 20 meals to a food bank to help fight hunger for every mattress sold. Is It Smart To Buy A Mattress Online? I say yes. Before you scoff, hear me out. With these advantages in mind, I honestly can’t think of a reason why you’d not want to buy a mattress online. We used to buy our memory foam mattresses at a warehouse store with a generous return policy just in case, but that severely limited selection of mattresses. We’re certainly no strangers to memory foam mattresses. We’ve been sleeping on them for over 10 years now. They can sometimes have their issues, such as breaking down and softening too much over time. But, a memory foam mattress has great support for the various aches and pains we both have. We also tend to go to bed and get up in the morning at different times so we definitely appreciate that you can’t feel motion transfer in a good memory foam mattress. However, after trying a few different brands over the years, we can confirm they aren’t always the same quality and comfort. When you purchase a mattress from Sweet Zzz you will have to wait a few days because they don’t manufacture your bed until you order. I rather like this instead of a mattress that’s been sitting in a warehouse for who knows how long. The mattress is shipped in a thick, standard shaped box so it is pretty easy to move to wherever you want to put it, though it is on the heavier side of course. All you need to do to set it up is to open the box, pull out the mattress, unfold it and take all the plastic off and place it on a flat surface. We have a traditional bedframe that we added plywood sheets to for extra support that the mattress works great on. At this, point all you have to do is let the memory foam do its thing expanding. We did give it 2 nights to fully expand as that seems to work out best from our past experiences with memory foam. I was a little worried when I saw just how thin the mattress was when it’s first unboxed. But, it really does expand a lot. One thing I did notice when we got the Affluent mattress set up is that I didn’t notice any funky odors. If you’ve had anything memory foam before, you’ve probably experienced the off-gassing that can sometimes be so bad you can’t even be in the same room until it airs out. Sweet Zzz mentions that they use no bad chemicals so based on the lack of odor alone I have to believe it’s true! How Comfortable Is The Affluent Memory Foam Mattress? First of all, to just get it out there, Mr. 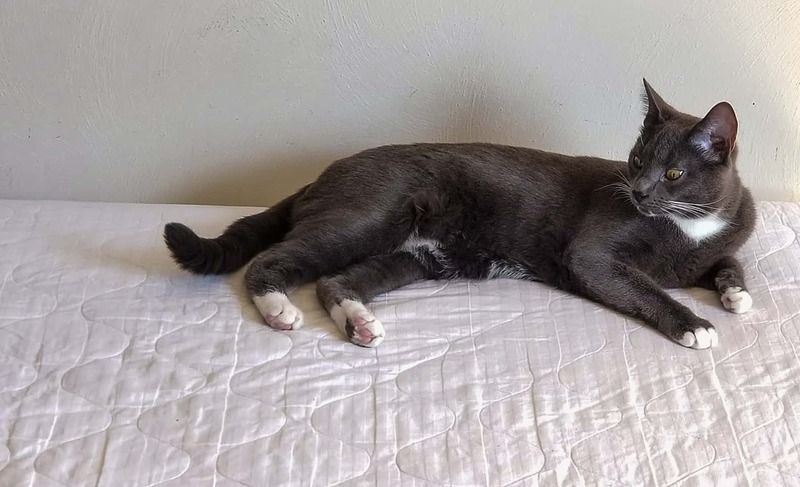 Savvy and I both agree that the Affluent memory foam mattress is the most comfortable memory foam mattress we’ve ever had or tried for an extended amount of time (just over a month so far as I’m writing this review). We were rather used to and happy with the mattress that we got at the warehouse store, though it had recently started getting too soft and valley-like. We have tried a few other memory foam mattresses just to see what was out there but always went back to the warehouse one. When I asked Mr. Savvy what he thought of the mattress from Sweet Zzz he said he actually liked it more than the warehouse one. I had to agree. So, I knew we had a winner. The biggest thing for us is that the Affluent mattress is thicker than some of the other memory foam mattresses we’ve tried. The thinner mattresses were never quite as comfortable as the thicker one that we got from the warehouse store. The Affluent mattress is actually two inches thinner than the warehouse one and we prefer the Affluent mattress so that tells you how well made it is. I really like that it holds its shape overnight and you feel just as supported when you wake up as when you went to sleep. Mr. Savvy isn’t a small guy and even he was impressed with how well the mattress has been holding up. With the previous thinner mattress we tried he noticed a difference in comfort after just a couple weeks. The mattress, to me, isn’t too soft but isn’t too firm either. I really enjoy having the mattress be just soft enough to feel comfortable and kind of like my body is giving a breath of relief when I go to bed. But, I also want it to be juuust firm enough to feel supportive. I wasn’t disappointed on either account with this mattress. Is the Sweet Zzz Affluent Mattress Recommended? 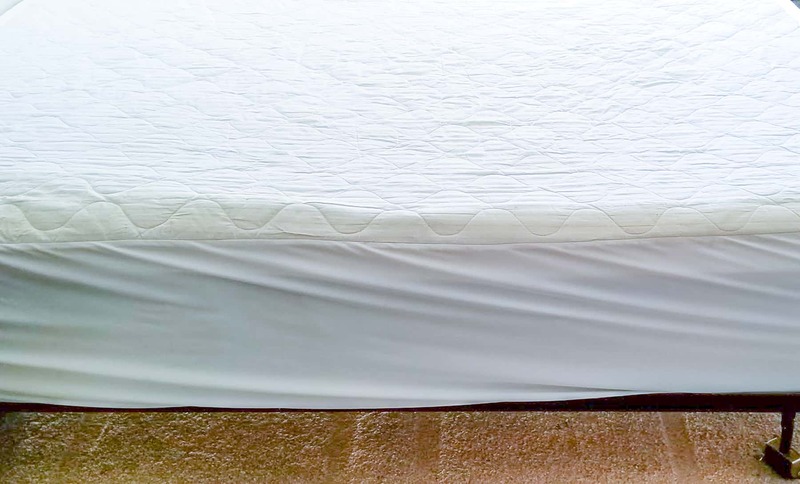 Since it is the most comfortable memory foam mattress we’ve ever slept on to date I can say without a doubt that we definitely recommend the Affluent Memory Foam Mattress by Sweet Zzz. As I mentioned, we’ve been using the mattress for about a month so far and it has held up beautifully. How much we like it long term will depend on how well it holds up over time, but I sleep better (pun intended) knowing that there is a 100-night no-risk trial and also a lifetime warranty on the mattress should we run into any problems. As you can see from the pictures, the cats are fans as well. The mattress may be a bit more expensive than some of the other memory foam mattresses you find online but I truly believe that in this case, you are paying for higher quality materials that truly make a difference for a better nights sleep. That’s worth every penny to me. Head on over to SweetZzzMattress.com to buy this mattress or see the other mattresses Sweet Zzz has available. « Cat Bored Of Their Food? Mix Things Up With Meow Mix At Target!